Forio di Ischia, Ischia Accommodation. La Tonnarella used to be the local Gargiulo family’s summer residence. Today it is a delightful hotel with beautiful backdrop, preserving its fascinating period atmosphere, with antique furnishing and ceramic tiles. Hotel La Tonnarella’s small private beach, equipped with parasols and deck chairs, is also the setting of exclusive lunches. You can dine on a terrace surrounded by nature and only a few steps from the sea. Accommodation Latest booking: 3 hours ago. Naples Central Station, Napoli Accommodation. Latest booking: 3 minutes ago. Amalfi Coast Holidays – Southern Italy’s Riveria / Campania, Italy. Amalfi Coast vacation holidays to the breathtaking area south of Naples, Italy on the Sorrentine Peninsula. Visit beautiful places like Sorrento, Capri, Ischia, Amalfi, Positano and Ravello all in the region of Campania, Italy. Enjoy the local food of Campania and soak up the regions sun and sea. Be sure to check out the birth of civilization in Pompeii, Herculean, Paestum and Stabiae. Visit us for all your Amalfi Coast vacation holiday needs. 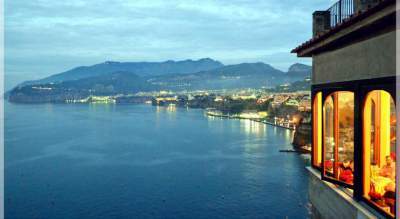 Campania is on of the the region most rich in art, history, traditions and culture of Italy. An immense artistic heritage makes it a favorite destination of world tourism. 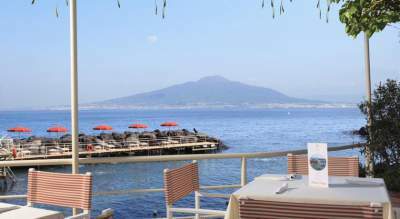 Naples as highlight of this wonderful region, the Royal Palace of Caserta, the Amalfi Coast, Capri, Sorrento, Pompeii, Paestum are only part of the wonder of this region. In Campania you can experiment the richest archaelogical site in Italy from Baia, the submerged city, to Velia the Greek village in Cilento. Since the Roman epoch, the region of Campania has been known as Felix. It was the centre of nature’s bounty and abundance of gastronomy that the land has fertilized by the volcanic eruptions over time. The region has always been considered a privileged destination. The ancient Roman noblemen built their marvelous luxury villas on the cliffs along the Bay of Naples to enjoy the splendid natural settings. A testimony of that period of prosperity and richness is still visible, such as the preserved Amphitheatres and Roman Villas in the immense archaeological patrimony brought to light over the years of excavation. Campania has within a few kilometers 3 of the most visited spot in all Italy: Pompeii, Sorrento and Amalfi coast. Visit the fine sandy beaches with crystal clear waters at the coast, where you can enjoy a relaxing swim in the Tyrrhenian Sea or where you can practice other water sports. It does not matter in which time of the year you visit Campania, you are guaranteed to have fun activities with which to entertain yourself. This can be in the cultural, musical, gastronomical, archeological or sporting aspect, just to name a few. Explore the nature by foot, on a horse ride or on a bike. For young and old, big or small, an unforgettable vacation can be spend in a holiday home in Campania. Take A Break Holidays takeabreakholidays, Campania Accommodation. San Francisco De Asis, Urb Marina, San Fulgencio, 03177, Alicante, Spain.